Costa Wingman sunglasses offer a comfortable fit to say the least with optical spring hinges, and soft co-injected rubber temple tips with fully adjustable silicone nose pads. 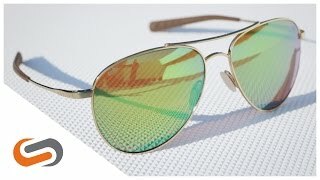 One look at the classic aviator styled metal-frame and you won't be able to take off the Costa Wingman sunglasses. The large fit and polarized lenses maintain protection in any environment, and the corrosion-resistant metal frames with spring hinges are built to last. Need the Costa Wingman prescription sunglasses? SportRx has you covered.